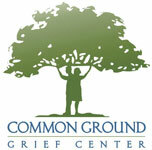 The Dougy Center has a vastly informative selection of books on grieving children and teens. You may view this material as well as purchase books directly through their website, www.dougy.org. Brown, L.K., & M. (1996). When Dinosaurs Die: A Guide To Understanding Death. Little Brown & Co.
Buscaglia, L. (1983). The Fall of Freddie the Leaf. Holt, Rinehart. Cazet, D. (1984). Christmas Moon. Macmillan Publishing Company. Dodge, N. (1984). Thumpy’s Story: A Story of Love and Grief Shared by Thumpy, the Bunny. Prairie Lark. Gryte, M. (1988). No New Baby: For Boys and Girls Whose Expected Sibling Dies. Centering Corporation. Hanson, W. (1997). The Next Place. Waldman House Press. Haas, S. (1991). Daddy’s Chair. Kar-Ben Copies, Inc.
Mellonie, B., & Ingpen, R. (1983). Lifetimes: A Beautiful Way to Explain Death to Children. Bantam Books. Miles, R. (1971). Annie and the Old One. Little, Brown, & Co.
Mills, J. (2003). Gentle Willow. Magination Press. Mundy, M. (1998). Sad Isn’t Bad: A Good-Grief Guidebook for Kids Dealing With Loss. Abbey Press. Rogers, F. (1998). When a Pet Dies. GP Putman’s Sons. Rothman, J. (1992). A Birthday Present for Daniel: A Child’s Story of Loss. Prometheus Books. Temes, R. (1992). The Empty Place: A Child’s Guide Through Grief. Small Horizons. Viorst, J. (1971). The Tenth Good Thing About Barney. Athenaeum. Vigna, J. (1991). Saying Goodbye to Daddy. Albert Whitman & Co.
Wilhelm, H. (1985) I’ll Always Love You. Crown Publishers. Carrick, C. (1976). The Accident. Seaburg Press. Clifton, L. (1988). Everett Anderson’s Goodbye. Holt, Rinehart, & Winston. Coburn, J. B. (1980). Annie and the Sand Dobbies. Harper Collins. Douglas, E. (1990). Rachael and the Upside Down Heart. Price, Stern, & Sloan. Johnson J., & Johnson, M. (1978). Tell Me Papa: Answers to Questions Children ask about Death and Dying. Centering Corporation. Karst, P. (2000). The Invisible String. DeVorss Publications. Krementz, J. (1983). How it Feels When a Parent Dies. Alfred A. Knopf. Kubler-Ross, E. (1998). Remember the Secret. Celestial Press. Madenski, M. (1991). Some of the Pieces. Little, Brown, & Co.
Paulus, T. (1973). Hope for the Flowers. Paulist Press. Romain, T. (1999). What on Earth Do You Do When Someone Dies?. Free Spirit Publishing. Walker, A. (1988). To Hell with Dying. Harcourt, Brace, & Jovanovich Publishing. Winsch, J. L. (1995). After the Funeral. Paulist Press. Varley, S. (1984). Badger’s Parting Gifts. New York: Mulberry Books. Cohen, J. (1994). Why Did it Happen? Helping Children Cope in a Violent World. Morrow Junior Books. Cosby, B. (2000). The Day I Saw my Father Cry. New York: Scholastic, Inc.
Goldring, T.M. (1999) Kat’s Surrender. Boyds Mill Press. Graeber, C. (1982). Mustard. Macmillan Publishing Company. Jampolsky, G. (1982). Straight from the Siblings: Another Look at the Rainbow. Celestial Arts. Jukes, M. (1985). Blackberries in the Dark. Yearling Publishers. Leshan, E. (1976). Learning to Say Goodbye: When a Parent Dies. Simon & Schuster. Mandino, O., & Kaye, B. (1989). The Gift of Acabar. Bantam Books. Mills, L. (1991). The Rag Coat. Little, Brown, & Company. Paterson, K. (1977). The Bridge to Tarabithia. Harper Collins. Schwiebert, P., & Dekylen, C. (2001). Tear Soup. Grief Watch. Spies, K. (1990). Everything You Need to Know About Grieving. Rosen Publishers. White, E. B. (1952). Charlotte’s Web. Harper & Row. Canfield, J., Hansen, M.V., & Kirberger, K. (1997). Chicken Soup for the Teenage Soul. Deerfield Beach, FL: Health Communications. Dower, L. (2001). I Will Remember You: What to do When Someone You Love Dies, A Guidebook Through Grief for Teens. New York: Scholastic, Inc.
Fitzgerald, H. (2000). The Grieving Teen: A Guide for Teenagers and Their Friends. New York: Simon & Schuster. Fry, V. (1995). A Part of Me Died, Too. Dutton Children’s Books. Gootman, M. E. (2005). When a Friend Dies: A Book for Teens about Grieving and Healing. Free Spirit Publishing. Mahon, K.I. (1992). Just One Tear. Lothrop, Lee, & Shepard Books. McDaniel, L. (1999). The Girl Death Left Behind. Skylark. O’Toole, D. (1995). Facing Change: Falling Apart and Coming Together in the Teen Years. Mountain Rainbow Press. Schuurman, D. (2003). Never the Same: Coming to Terms with the Death of a Parent. New York: St. Martin’s Press. Wolfelt, A.D. (2001). Healing Your Grieving Heart for Teens: 100 Practical Ideas. Companion Press.